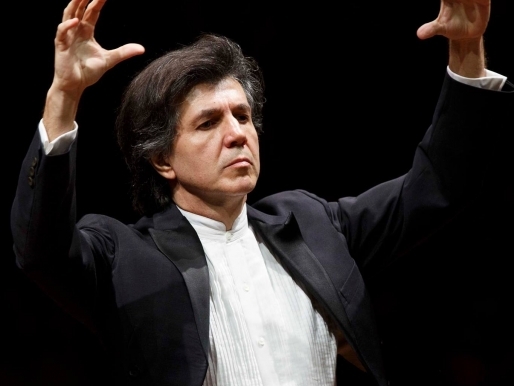 The first contact between Ricardo Castro and "El Sistema" occurred in 2006 after watching the movie "Play and Fight" in Venezuela where he was performing concerts as pianist. Sure that a similar program could succed in Bahia, he began to spread the idea to all interested people, placing on hand to help if needed. Thus, in January 2007, Ricardo Castro accepted the invitation of the Secretary of Culture of the State of Bahia to deploy a program inspired by the "El Sistema" Venezuelan, following its basic principles are: be a governemental program, having the multiplication and excellence as key goals and promote social development and social integration through the orchestral and choral practice. Since 2007 NEOJIBA represents an opportunity for change in the lives of children and young people, who, via the collective practice of music, acquire essential tools for the full development of their capabilities. The outcome of this practice is demonstrated by the excellence achieved by the musicians in the NEOJIBA orchestras. A priority program for the State of Bahia and a pioneer in Brazil, managed by the Association of Friends of the Youth and Children Orchestras and NEOJIBA (AOJIN), maintained by the Culture Secretariat of the State and supported by the Castro Alves Theatre, NEOJIBA is ispired by the “El Sistema”, the well-known Venezuelan program created in 1975 and which today has over 350,000 children and young people and more than 180 orchestras in the entire country. 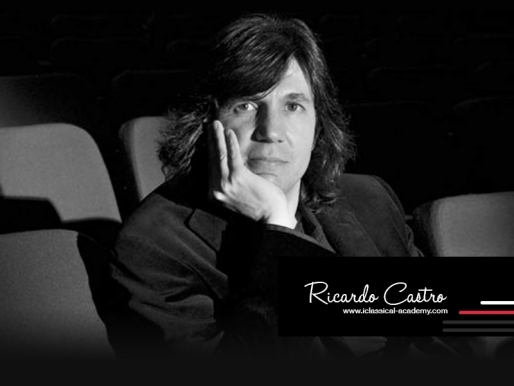 The founder and director of NEOJIBA is the pianist Ricardo Castro, from Bahia. NEOJIBA includes a Center for Management and Professional Development, that functions at the Castro Alves Theatre, where the main orchestras rehearse daily, with its members aged from 9 to 29: the 2 de Julho Youth Orchestra (J2J), with around 90 musicians and the Castro Alves Orchestra (OCA), with 80 musicians. Due to the high demand of youngsters interested in joining the program, the Experimental Pedagogical Orchestra (OPE) is still active, training musicians aged from 7 to 15 years. A choir with 40 youngsters was also created in in May 2010, in the ICEIA State School in Salvador. NEOJIBA has three Orchestral Practice Centers in Salvador and its metropolitan area, and one in Trancoso, in the extreme South of the State of Bahia, and also supports pedagogically several orchestral projects in the State countryside. 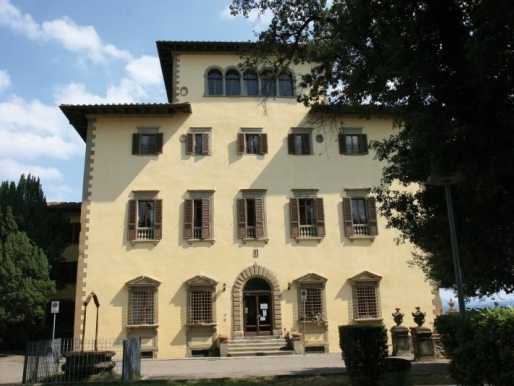 The program provides, at no cost to its musicians and without any social distinction, musical instruments for the orchestral practice, learning materials, musical practice and classes of musical theory, the latter being delivered by highly qualified professionals, in addition to transportation fee support and snacks. The members of the Center for Management and Professional Development also receive a scholarship to assist with costs. By the end of 2012, the NEOJIBA orchestras have performed 240 concerts, for an estimated 151,680 people. The Youth Orchestra 2 de Julho went on tour on August 2009, visiting seven capitals in the Northeast and participating as a guest orchestra in the V Music Festival of Santa Catarina (FEMUSC) in January 2010. 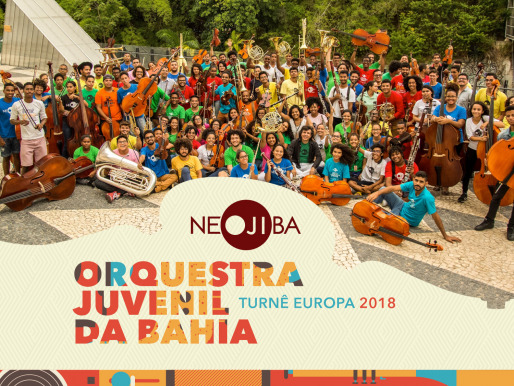 In July of the same year, the Youth Orchestra of Bahia (YOBA), the group formed by the 100 best musicians of NEOJIBA, was the first youth orchestra in Brazil to perform in Europe, at the Queen Elizabeth Hall in London and at the Belém Cultural Center in Lisbon. After the concerts in Europe, YOBA did its first tour in the Southeast of Brazil, with concerts in Belo Horizonte, São Paulo and, for the second consecutive year, at the International Winter Festival in Campos do Jordão. In 2011, YOBA performed in prestigious concert halls, including a presentation with pianist Lang Lang at the Royal Festival Hall in London, concerts at the Konzerthaus in Berlin and at the Victoria Hall in Geneva, with Maria João Pires, as well as at the São Paulo Hall, with violinist Shlomo Mintz as soloist. In March 2012, YOBA was the resident orchestra at the "Music in Trancoso" festival , sharing the stage with acclaimed musicians such as the pianists Labèque sisters and musicians from the Berlin Philharmonic. From 2013, the orchestra launches an innovative project called the “Bahia Orchestra Project”, an output of the versatility, integration capacity and talent of the young musicians from NEOJIBA, bringing richness and a variety of styles and interpretations, mixing traditional and popular repertoires. Since its inception, NEOJIBA has welcomed renowned professors from Brazil and several countries, including Venezuela, Switzerland, Germany, USA, France, Canada, Portugal, Argentina, amongst others. NEOJIBA has also fostered partnerships for the interchange of music students with several institutions, such as the National Youth Orchestra of Great Britain (NYO), the Youth Orchestra of the Americas (YOA) and the Juilliard School of Music, in New York. NEOJIBA also has important partners, such as the United Nations Development Programme, Brazil Classical (USA) and Jeunesses Musicales International (JMI), the latter being the largest network of musical projects for youth. NEOJIBA was the first Brazilian program to become a member of the JMI, in July 2010.